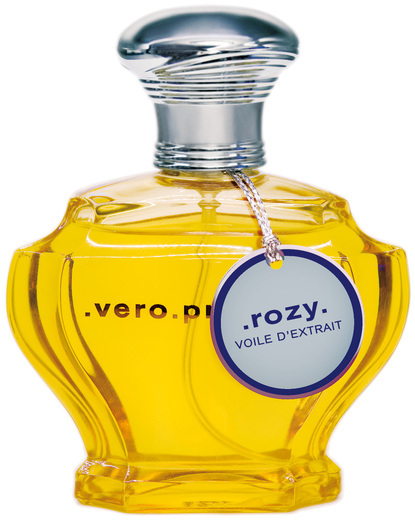 Rozy Voile d’Extrait has triggered so many images, thoughts and feelings in me, that at times this post may read more like the ramblings of a woman possessed than a straight-forward review. It has truly captured my imagination. At a recent workshop, Vero Kern talked about the similarities between tattoos and perfume. How they are both linked to identification and how perfume, like a tattoo, goes onto and under the skin. Well, Rozy is a perfume that has gotten under my skin in more ways than one. Vero also told us that she had wanted to create a rosy perfume rather than a rose perfume. This is worth bearing in mind because this is not a rose soliflore. While rose is central to the theme there is so much more to it. Rozy Voile d’Extrait is intense, multi-faceted and forever evolving. A rose unfurls slowly to expose its heart and so does Rozy. Each wear seems to reveal something new. The Italian actress Anna Magnani, star of the 1955 film “The Rose Tattoo”, was the muse behind this new release from Vero Profumo. 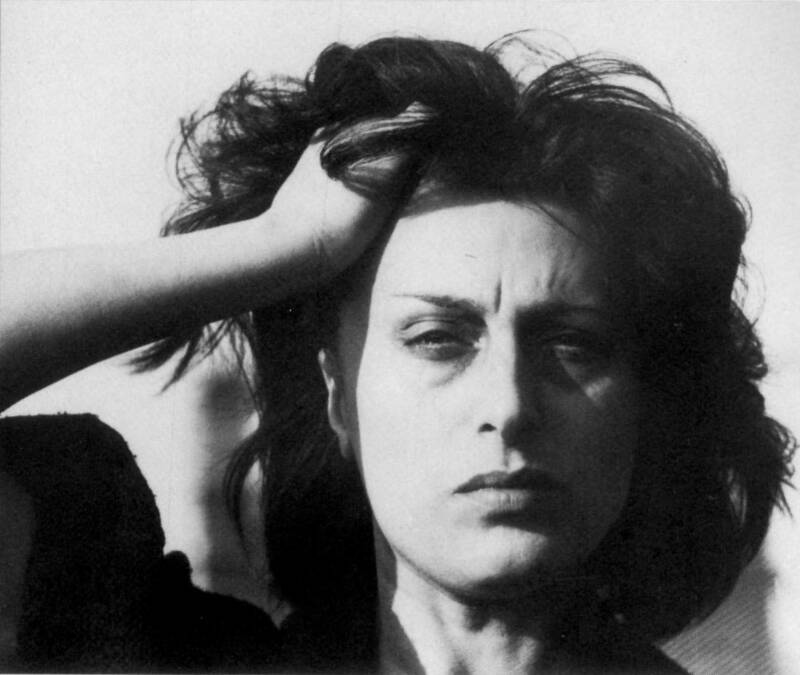 Magnani was described by Time magazine as “‘the most explosive emotional actress of her generation”. She had a genuine intensity and fearless honesty that captivated audiences and won her a Best Actress Oscar. With unconventional looks by Hollywood standards, it was the expressiveness and authenticity of her acting which set her apart. The notes given for Rozy Voile d’Extrait are rose d’orient, tuberose, cassis, honey, spices, sandalwood and labdanum. Cassis (blackcurrant) and melon first take over my skin with just a brief waft of camphor from the tuberose. This is the only time in its development that I’m aware of the tuberose and it works well at off-setting the ripe fruit. It is a bold and vibrant beginning to a long, rewarding trip. How to describe the honey? It is unlike any honey note I have encountered before. It’s dark and and smoky with an oriental quality to it, as if laced liberally with incense and dusted with spice. The deep, languid rose sits at the core of it all, pulling everything together through centrifugal force. In the early stages the whole effect is hot and steamy, extremely close and almost airless. It’s overblown but never suffocates. It stays on just the right side of the tipping point. The base depicts the she-wolf at rest. It reveals a downy soft underbelly of labdanum, vanilla and sandalwood, with just a little powder and a few twists of smoke. It is warm, seductive and sweetly balsamic. This is not a perfume to be taken lightly or worn casually. Although it’s not the sillage bomb you might expect, you can’t just spray and forget about it. It’s incredibly potent and its longevity is unparalleled. To put it on your skin is to make a commitment. You let it identify itself with you and you with it, just like that rose tattoo. If you’d prefer a perfume with a more stable personality, then try Rozy EDP. By comparison, the Voile is unrestrained and unrepentant. I love it all the more for that. It’s a very special perfume full of drama and presence. On reflection I don’t see more darkness than light in Rozy Voile d’Extrait because it is so perfectly balanced. There is as much raucous laughter as there is fiery temper. Some have the impression that it is scary, but while it’s not a placid perfume by any means, I don’t find it unsettling either. It has too much vivacity and radiance for that. It may not be relaxing to spend any length of time in the company of someone who expresses such extremes of emotion, but you will feel all the more alive for it. In Rozy Voile d’Extrait, Vero Kern has found a unique way to present the rose in perfumery. It’s not natural and photorealistic, merely innocent or purely dark. She has eschewed the traditional rose stereotypes and gone for something entirely abstract and all encompassing. Like people and the rose itself, Rozy Voile d’Extrait is full of contradictions but still feels cohesive. The flower has its velvety petals and its thorns, its vivid greenness and its earthy roots. In the same way, Rozy has its fruit and its smoke, its flowers and its spice, its honey and its resins. Vero reconciles all these elements, making them as one. Nothing about it is superfluous. Immense time and thought has clearly gone into every nuance. Rozy Voile d’Extrait is a fully formed, vital personality with all its inherent complexity. Its character has a wild side, a sensual side, an irreverent side and a purring feline side. All are integral and all are embraced. So often women fragment themselves or are fragmented by others. They are labelled “the homemaker”, “the career woman”, “the ingénue”, “the whore”, “the spinster”, “the femme fatale”, “the ice maiden” and so on. For me, Rozy Voile d’Extrait integrates all these disparate archetypes and represents the woman as a whole. She refuses to be defined or confined. This is female liberation reflected in perfume and it is breathtaking to behold. This entry was posted in By Tara, Floral, Fragrance Reviews, Rose, Vero Profumo and tagged floral, Fragrance, Perfume, Review, Rose, Vero Kern, Vero Profumo. Bookmark the permalink. It sure is a grown woman’s perfume! Tara, I thoroughly enjoyed this review! Rozy is so complex and you’ve really gotten to grips with it. I’m almost smelling along with you. Right now I’m still unsure of which concentration I prefer. I seem to flit back and forth between the Voile and the EDP. Thanks Thomas, that means a lot. It’s not an easy one to pin down but that’s one of the great things about it. Lovely review Tara! You have made this perfume sound truly appealing. Sandra, I think it’s a must-try. One of those perfumes you need to experience. OMG, I need some of that as soon as possible! Sounds absolutely fascinating! Thanks Ines! It is fascinating. There’s so much going on. You need to try both this and the EDP. Look forward to your own take on them. A fantastic review, Tara. I love the female liberation idea. Thanks very much Sabine. I enjoyed your own review a lot. Ohmy….this Rozy seems to be THE perfume this year, and my knees are already shaking with anticipation! It’s ALMOST “just-gonna-go-ahead-and-blindbuy”, but I’m not quite there. Yet. Tomorrow, maybe….Amazing review! I would be surprised if we see another release of its like this year. Fabulous review – as previous commenters have said, you have captured all the twists and turns and facets of this complex perfume that I am looking forward to trying – and am apprehensive about doing so! – in equal measure. Sounds like an absolutely original take on rose, mind, and we’ve all smelt a shedload in our time. LOL re the ex, V.
This is about as far away as you can get from your usual understated style but you’ve still got to try it for the experience. Plus you’ve made significant steps outside of your comfort zone lately so it shouldn’t fill you with too much trepidation! That’s just what I figured…?! I am wishfully waiting for this little PREEECIOUS to be available as a sample at First in Fragrance!!! From your intriguing description (not from the notes) I immediately thought of Andy Tauer’s Une Rose Chypree (rozy, incredibly potent, unrestrained, perfectly balanced etc.) – are they similar in their atmosphere? And thanks a lot for sharing the background knowledge from the workshop, I like the perfume-tatto-comparison and have to google Anna Magnani now. Sounds like such an interesting actress. Anka, I’d say Rozy Voile d’Extrait would eat Une Rose Chypre for breakfast but it’s been a while since I’ve tried the Tauer. I can see the comparison but URC as I recall doesn’t have any smoke and isn’t as dense or as dynamic. I don’t think it has the same extremes of darkness and light either. Having said all that it could well be the perfume that comes closest. I’m glad you enjoyed the bits from the workshop, do read the full Vero Bloom post if you haven’t already. I really liked reading up about Anna Magnani (who was nicknamed the She-Wolf). Definitely worth further investigation. What a wonderful piece of writing Tara. “Entirely abstract and all encompassing” says about everything. And for what it´s worth, I find the EdP and the Voile to be so different that it absolutely confirms that I need a bottle of each one. Bussis. Thanks so much, Val. You know Rozy well so it’s good to hear. The Voile and EdP really are like two different perfumes. This definitely warrants a purchase of both! I think it’s due for release mid-May so not long to wait! Tara, this is one of the best reviews I’ve ever read – by you or anyone! You obviously clicked with Rozy and managed to make it come alive for all of us! You don’t know how much that means to me, B. You’ve always been my favourite writer and I strive to be worthy of my place on OT – I truly mean it! As much as I admire Vero Kern, and still plan on getting a version of Onda at some point (as yet undecided, because I need to try the extrait and the voile), I was not getting out of my way to get to try this one, as rose is truly a difficult note for me. However, now you make it sound like the one kind of rose perfume that might work, and that is very exciting news. It’s not all about the rose so do please give it a try if you run across it. I’d love know your thoughts if you do. I hope you get your Onda soon. It is important to try all the concentrations first because they can differ so much. What a truly beautiful review, I had goosebumps all over, while I read it! That’s so lovely to hear Safran, thank-you! WOW! I love this review Tara. So eloquent. Thanks very much Miss P! Looking forward to seeing what you make of Rozy Voile and EdP. I think you’ll love them both. Gosh! It’s great to hear about this kind of perfume experience. It’s very rare I feel so inspired by a perfume, mostly it’s ‘this is nice, wearable’. Also I love the sound of the notes – deep rose, labdanum and sandalwood, but with a balsamic touch – I can imagine that being most satisfying. Right then, I have to get some Vero Profumo samples, I’ve been putting it off for a while..
I’m pleased this post has inspired you to explore Vero’s fargrances. It will be a rewarding experience, I’m sure. You’re so right about how rare it is to be this inspired by a perfume. It was one of the few, if not only, times I had to cut down what I’d written. I find that’s usually the case with indie perfumers. You can pick up on the fact their creations have come from the heart. The notes sound just incredible. I’ve never tried the Vero Kerns on paper or my own skin, and am so intensely curious about them. Dear Ari, please don’t try these on paper. They are wonderful creations which very much need to be savoured on skin. I have just purchased a tiny bottle of Mito extrait and am in 7th heaven every time I wear it. I am currently saving for Onda voile and this one in voile and/or extrait. Enjoy your Mito and hope you get your voiles soon. Ari, it is an incredible perfume. I hope you get to try them all because they really are something special. Whether they are to your taste or not, you can’t help but admire them. So beautifully unique and such top quality ingredients. The way perfume ought to be! Absolutely beautiful review, Tara! I NEED to try this. Thanks so much, Lavanya! Hope you and the family are well. I think you would ADORE this.